No Ford Mustang fan of contemporary times is a stranger to the Ford customizer web sites that have come about over the past few years. These sites have spurred social media excitement, competitions, and fantastic Ford giveaways. Head-to-head Mustang design challenges, voting, and now, an “action” element make this next rendition of the 2013 Mustang customizer something to get seriously excited about. The latest customer for the Ford Mustang is now going to be available as a mobile app, designed for release & deployment to the Apple iPad, Apple iPhone, as well as the wide gamut of Android mobile phones & tablets. Big deal, right? Well, it sort of is. Why? This new avenue of market reach doesn’t just allow people to “design on the go”…it opens up a totally new front of customization, rapid-design, and ultimately, a more solid user/enthusiast experience for all things Mustang. 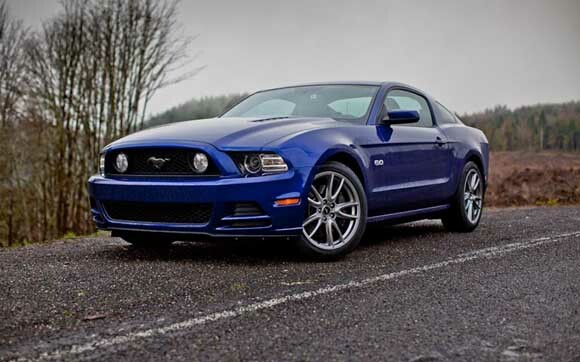 Keep reading to learn more about the 2013 Mustang customizer app in the official PR from Ford. DEARBORN, Mich., Aug. 17, 2012 – Mustang fans can now build their dream pony cars and pit them against other fans wherever they go with the redesigned 2013 Customizer app for iOS and Android phones and tablets. The original Mustang Customizer app was downloaded more than 250,000 times after it was released in late 2011. Once a personalized Mustang is finished, users can save their car and have it automatically entered into the battle mode where other users can vote on their favorite designs. Users earn points and up to 70 different badges for each car they build, participating in battles, wins and also individual challenges against their Facebook friends. Pictures of custom Mustangs can also be saved for use as desktop wallpaper on computers, phones and tablets plus shared on Facebook, Twitter and Google+. Users can also select their favorite custom design for a chance to win one of four dream Ford Mustangs to be built. A brand-new feature of the mobile app is the drift challenge. Players can select any of the custom Mustangs from their garage and race it around any of nine different courses trying to beat the best times set by their friends. The new 2013 Ford Mustang Customizer app is available in the AppleTM App Store for the iPad®, iPhone® and iPod® Touch and the Google Play store for Android-powered phones.